Typically working through networking and personal recommendations, this top level agency positions themselves more as a strategic partner —finding special candidates for difficult to fill jobs — than a traditional recruitment agency. 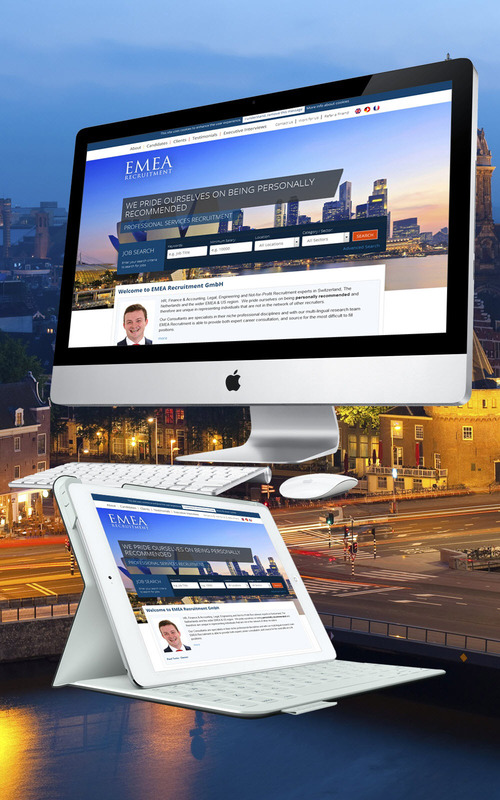 EMEA Recruitment are based in three European countries and wanted a cosmopolitan feel to the site. The site has some interesting multi-lingual sections.